My Soddy Home is a 43" x 41" pieced quilt, shown using A Prairie Journal fabrics designed by Martha Walker for Henry Glass Fabrics & Co. 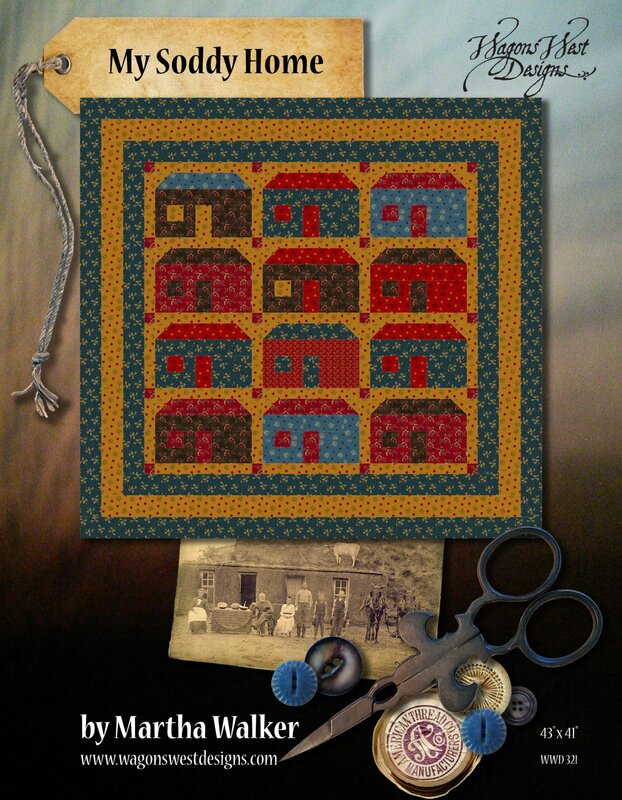 Celebrating the pioneer spirit of homesteading families, My Soddy Home consists of pieced blocks depicting sod houses, homes built from the earth during the nineteenth century on the prairie nearly devoid of trees. My Soddy Home is a 4 page color pattern, plus cover and fabric collection sheet. This pattern is currently sold as an e pattern only.